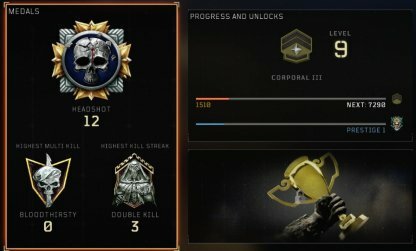 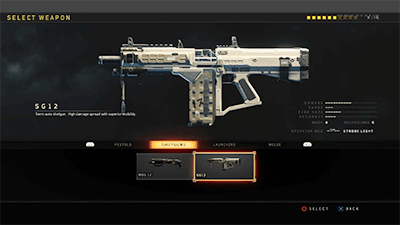 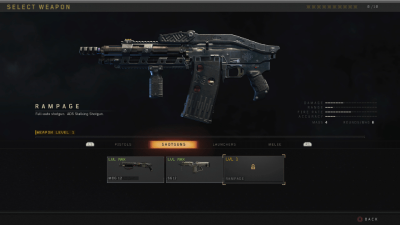 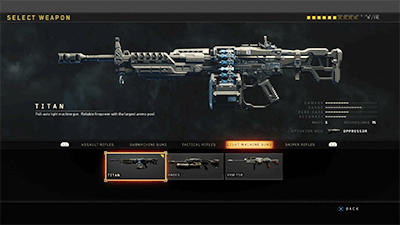 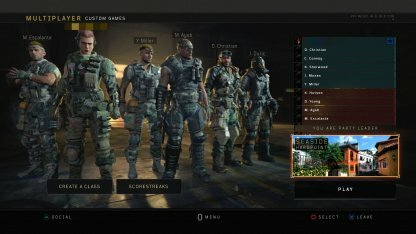 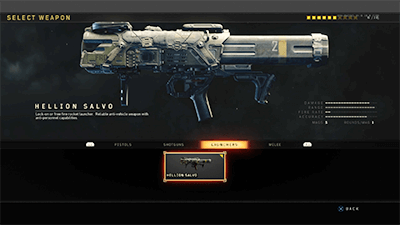 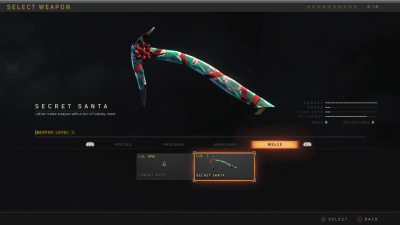 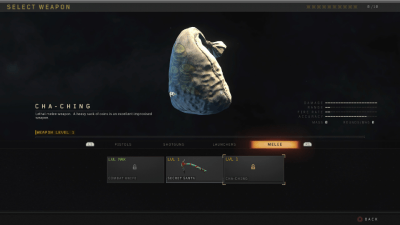 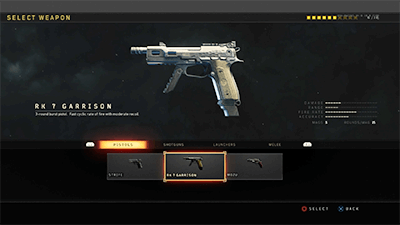 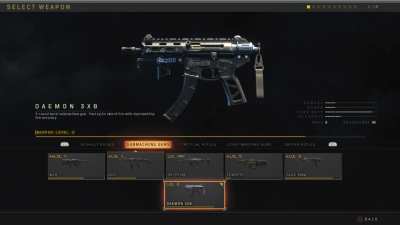 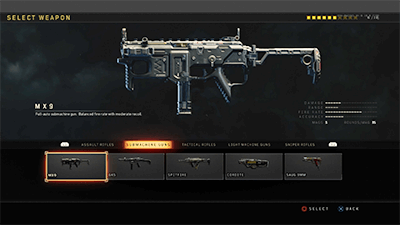 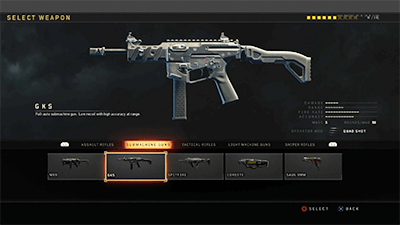 Find info about all weapons currently available in COD BO4. 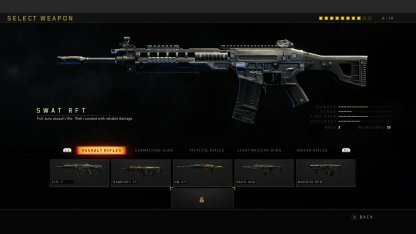 Use this as a guide when gathering your weapons and gear. 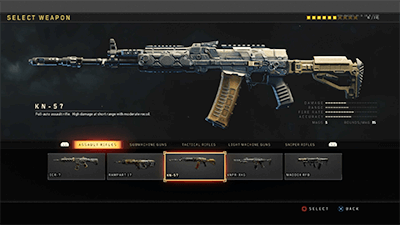 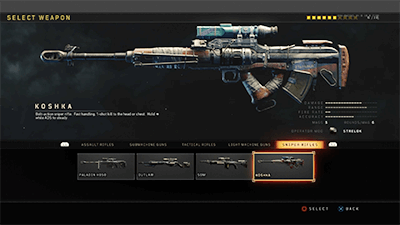 Assault Rifles are one of the most beginner-friendly guns in CoD: BO4 due to its automatic shooting feature & relatively low recoil. 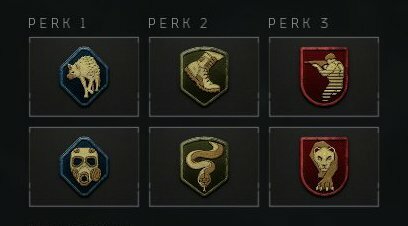 It's easy to control & can help beginners get used to the pace of the game. 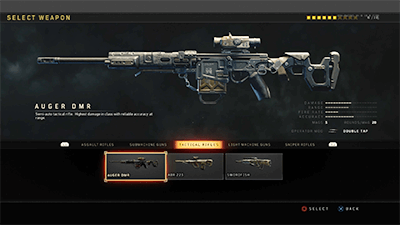 Assault Rifles deal good damage in mid-range shootouts. 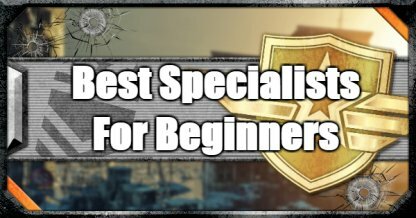 They are ideal for beginners who are still learning combat distances and are still inexperienced with close or long-range weapons. 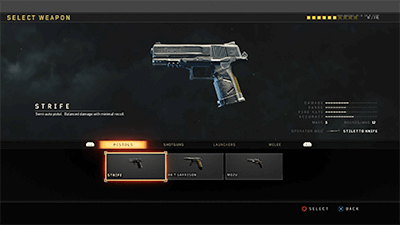 Submachine guns deal more damage the closer you are to your target. 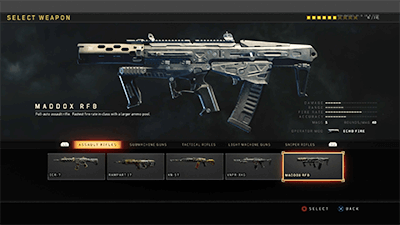 It's a weapon recommended for short-distance combat & for players unafraid of getting close to their opponents. 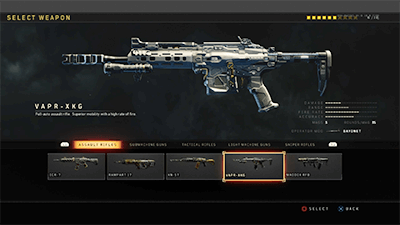 Tactical Rifles come in semi-automatic shooting modes. 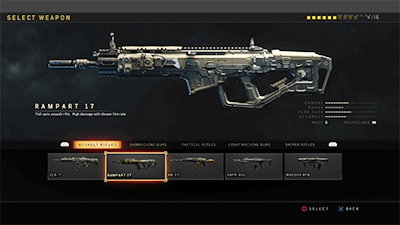 They fire in short bursts but the damage can be severe if all bullets connect to the target at once. 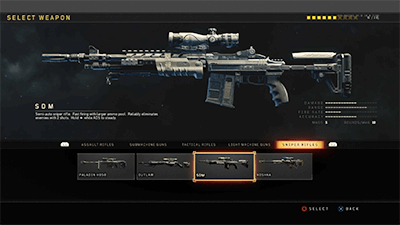 Recommended for middle range combat. 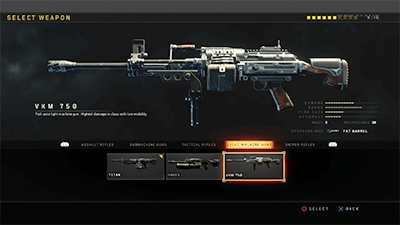 Light machineguns have a large magazine size capable of dealing a vast amount of damage without the need to reload. 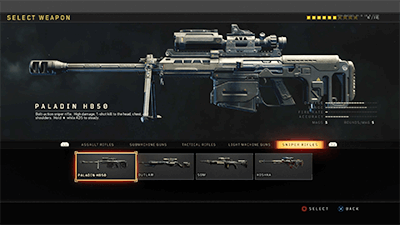 With its strong recoil, it is challenging to control when hitting far targets. 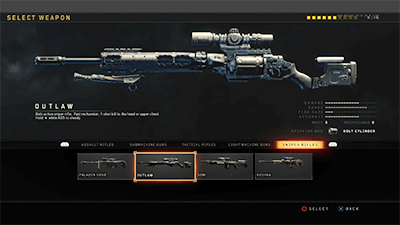 Sniper Rifles are extremely powerful in experienced hands. 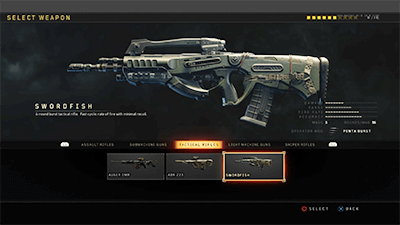 They are ideal weapons for hitting long-distance targets but have a low fire rate due to slow reload speed and small magazine size. 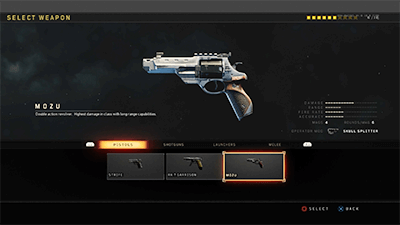 Handguns can dish out higher damage in close-range combat. 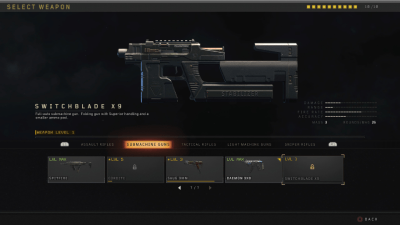 With their small magazine size, it's better to get close to the target and shoot to eliminate before the need to reload. 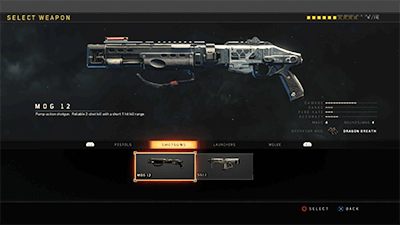 With its high spread, shotguns are very deadly in close range. 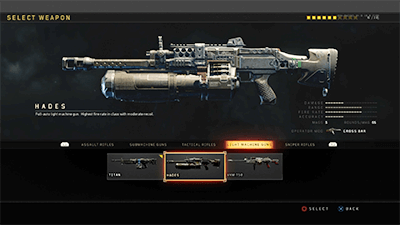 The damage drops off exponentially in mid-long range combat so it's best to keep close to your targets when using this weapon. 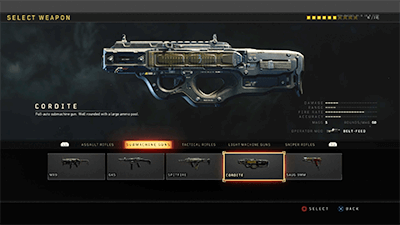 Launchers deal area-of-effect damage when they hit their marks - affecting both targets & surrounding areas. 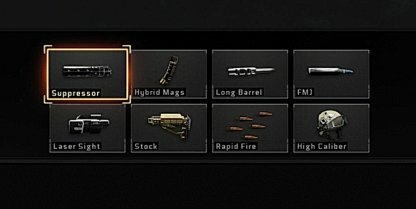 Launchers have the capacity to hurt their wielders due to their explosive area effect damage so aim for targets that are a distance away from you. 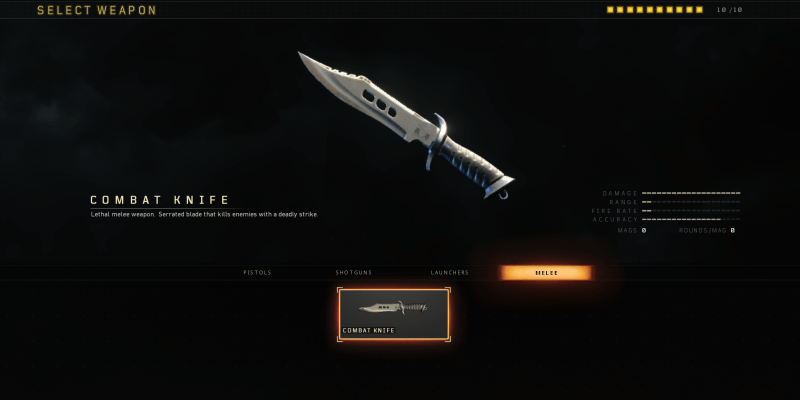 Serrated blade that kills enemies instantly in a single strike. 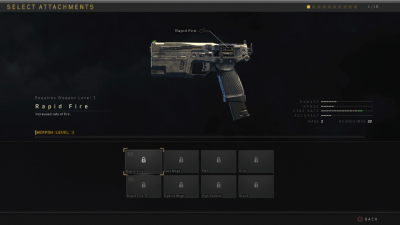 A challenging weapon to use since it is only effective at very close range. 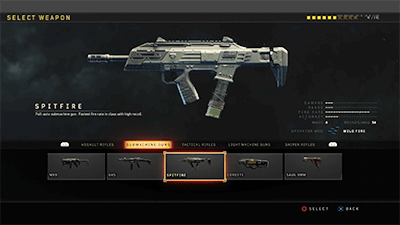 Melee weapons work best especially in tight spots and from behind enemies. 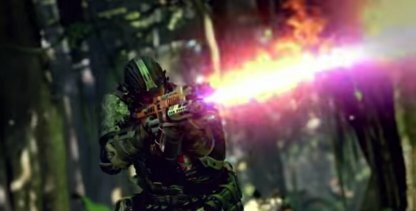 Combine with accoustic sensor and concussion for area advantage. 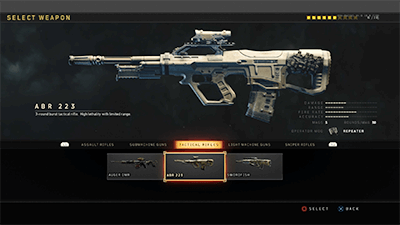 In Multiplayer mode, most of the weapons need to be unlocked by leveling your account. Enjoy new weapons in Multiplayer Modes by leveling up! 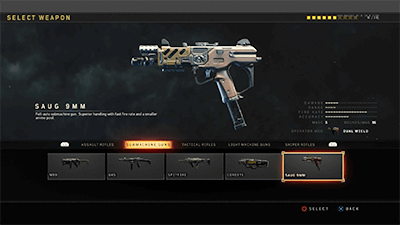 You will have more options for weapon attachments by leveling your weapons. 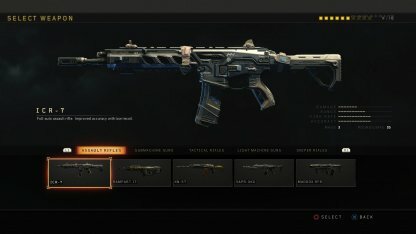 To level up your weapons, you need to get kills by the weapons you want to level up.